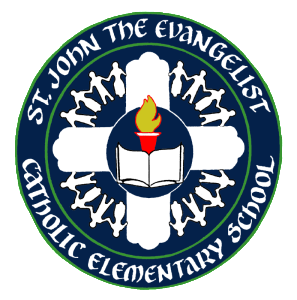 Enrollment at St. John’s School implies the willingness of both parents and students to comply with the policies and regulations of the school. In order to realize the purpose of the school, parents and students must agree with and support the Philosophy/Mission of the school and the regulations outlined in the SJE Parent Handbook. Parents/Guardians and students understand and acknowledge the Roman Catholic religious nature of St. John the Evangelist Catholic School. Parents/Guardians and students agree not to publicly repudiate the teachings and traditions of the Roman Catholic Church, and will respect and support the unique identity that St. John’s School derives from its Catholic faith. As the primary educators of their children, parents/guardians will not act in ways that contradict the Catholic nature of St. John’s School. Parents/Guardians shall cooperate fully with the school and the students shall participate in all required school programming, including instruction in the Catholic faith and attendance at Mass. As the primary educators of the students, parents/guardians agree to act in ways that promote the best interests of the church and school and will comply with the policies of the Archdiocese of Washington and St. John’s School. These conditions must be present to insure continued acceptance at St. John’s School. Failure to render any one at any time is a fundamental breach of the parent’s relationship with St. John’s. For a more detailed description of St. John’s school’s policies and procedures, download and review the SJE Parent Handbook.